OSHA developed the Hazardous Waste Operations and Emergency Response Standard (HAZWOPER) program to protect the workers working at hazardous sites and devised extensive regulations to ensure their safety and health. All of our courses comply with OSHA regulations. Receive your certification with our 24- or 40-hour course, or renew your HAZWOPER certification with our 8-hour refresher. 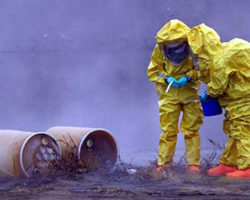 The Federal OSHA HAZWOPER Standard (29 CFR Part 1910.120) – requires that all employees that are exposed to or handle hazardous materials must take a 24hr or 40hr HAZWOPER Training Course and an 8hr Annual Refresher, at a level required by their job function and responsibility, before they are permitted to engage in hazardous waste operations that could expose them to hazardous substances. Step 1. Complete either the 24 hour or 40 hour HAZWOPER training course. There are no prerequisites for these courses. Step 2. Perform any additional site-specific training certification as directed by employer. 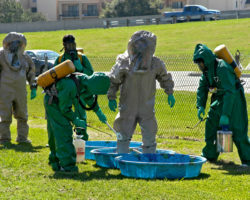 Additional HAZWOPER training is performed and certified by the trainer and employer. Step 3. HAZWOPER Supervisor Training. 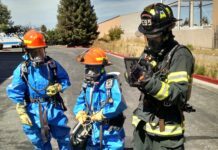 This training requires you complete either a 24 hour or 40 hour HAZWOPER course prior to enrolling in a supervisor course. Step 4. 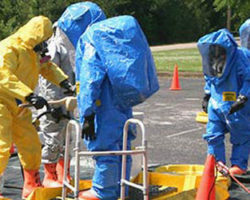 HAZWOPER 8 hour Annual Refresher course is required to maintain 40 hour, 24 hour, and Supervisor certifications. 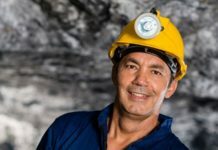 Workers must have 24 hours of initial training and one day of supervised field experience before they are allowed to enter the site. The online course meets the standard requirement of 24 hours of initial training. The one day field experience under a trained, experienced supervisor is the responsibility of the student’s employer or potential employer. This training course also applies to workers on site only occasionally, for a specific limited task. Audience: This course is intended for workers, managers and supervisors who participate in hazardous waste operations where they may be exposed to hazardous materials, waste, and/or substances and health hazards. Identify components of OSHA’s Hazard Communication Standard and steps of any Hazard Communication Program. Hazardous Substances as defined in 40 CFR 261.3 and 49 CFR 171.8. This course covers 40 hours of instruction, required by 29 CFR 1910.120, OSHA’s Hazardous Waste and Emergency Response (HAZWOPER) training standard. 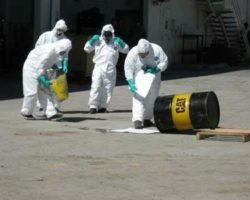 This course is specifically designed for workers who are involved in clean-up operations, voluntary clean-up operations, emergency response operations, and storage, disposal, or treatment of hazardous substances or uncontrolled hazardous waste sites. Topics include protection against hazardous chemicals, elimination of hazardous chemicals, safety of workers and the environment and OSHA regulations. 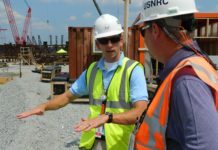 Workers must have 40 hours of initial training and at least three days of supervised field experience before they are allowed to enter the site. The online course meets the standard requirement of 40 hours of initial training. The required 8 hours of hands-on training can be completed by a qualified instructor. The three days field experience under a trained, experienced supervisor is the responsibility of the student’s employer or potential employer. General site workers involved with removing toxic, flammable or corrosive substances who are likely to be exposed to hazardous substances and site health hazards over permissible and published exposure limits and who are required to wear respirators on the job site. On-site supervisors and managers who are in charge of general site workers engaged in hazardous waste operations . Read and understand OSHA regulations and requirements. Understand the principles of toxicology and how they relate to various types of chemical exposures. Describe potentially hazardous situations involving corrosives, solvents, oxidizers and reactive chemicals. Understand Chemicals and the hazards they present in the workplace. Summarize the components of OSHA’s Hazard Communication Standard and the steps for any Hazard Communication Program. Understand the characteristics of each work zone. Understand the principles of decontamination as well as levels of decontamination and methods. Develop a Medical Surveillance Program and understand its purpose. Understand confined space permit system; be able to identify the main confined space atmospheric hazards, types of ventilation and gain an overall understanding of medical concerns associated with confined spaces. Understand the various considerations in an emergency situation and the importance of training and actions to personal safety and the safety of others. Detectors and monitors at a hazardous waste site. 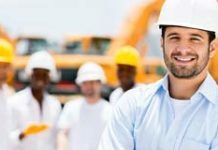 This course meets the requirements outlined in OSHA 29 CFR 1910.120(e) (3) for 8 (eight) hours of annual refresher compliance training for workers, managers and supervisors. This course is designed for general site workers who remove hazardous waste or who are exposed or potentially exposed to hazardous substances or health hazards. Newly updated! Fully interactive training written by industry experts! OSHA recently adopted the United Nations – Globally Harmonized System (GHS) for labeling and classification of chemicals. The purpose of OSHA’s GHS Hazardous Communications (Hazcom) is to communicate the hazards associated with workplace chemicals clearly, systematically and uniformly to all employees. Hazcom Regulation: 29 CFR 1910.1200. Enrollment is open to those who have already completed the 40-hour or 24-hour HAZWOPER training and need annual refresher training. HAZWOPER Regulations – Recognize and recall OSHA regulations and requirements. Site Characterization – Demonstrate an understanding of Site Characterization. Toxicology – Identify the principles of toxicology and how they relate to various types of chemical exposures. Hazard Recognition – Describe potentially hazardous situations involving corrosives, solvents, oxidizers, and reactive chemicals. 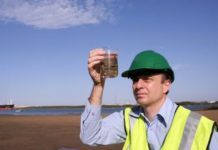 Personal Protective Equipment – Identify the uses for Personal Protective Equipment (PPE) and how to choose the correct PPE. 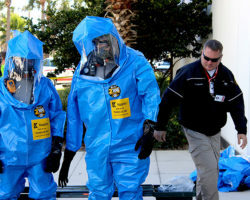 Decontamination – Recognize the principles of decontamination methods as well as levels of decontamination. Medical Surveillance – Define a Medical Surveillance Program and its purpose. 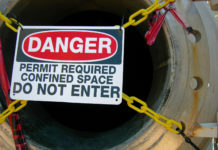 Confined Space Entry – Recall characteristics of the confined space permit system, such as main confined space atmospheric hazards and types of ventilation. Describe the medical concerns associated with confined spaces. Emergency Procedures – Indicate the various considerations in an emergency situation and the importance of training and action for personal safety and the safety of others. 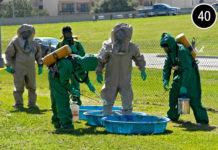 There are 3 levels for HAZWOPER training as listed in the OSHA 1910.120 regulations. Within these 3 levels are various job functions and training requirements. Each of these levels offer HAZWOPER certification for the different job functions. Courses meet latest OSHA training requirements and provide compliance as required by 29 CFR Part 1910.120. 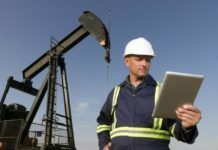 Powered by 360training.com – an OSHA Accepted Training Provider.